Disclosure: I am a member of the Collective Bias® Social Fabric® Community. This shop has been compensated as part of a social shopper insights study for Collective Bias and Bigelow. I have LONG loved having tea with my mom. One of my favorite things to do with her as a young teen was to go and have high tea at a local tea shop.. and that has not changed. 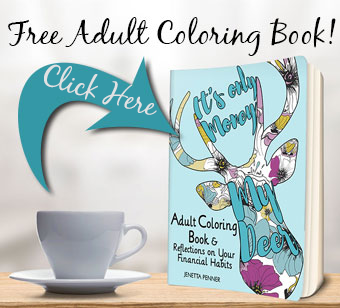 And I will tell you a little secret (that is COMPLETELY true!!) 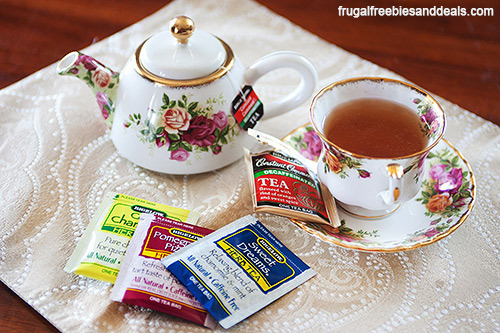 Bigelow Tea was my first tea and has always been my favorite. 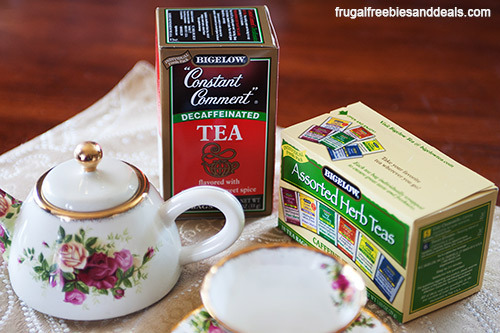 The 1st tea I loved was Constant Comment, it is my favorite to this day. I also found Lemon Lift a few years ago and that is close second. They are both amazing and bring back so many good memories. 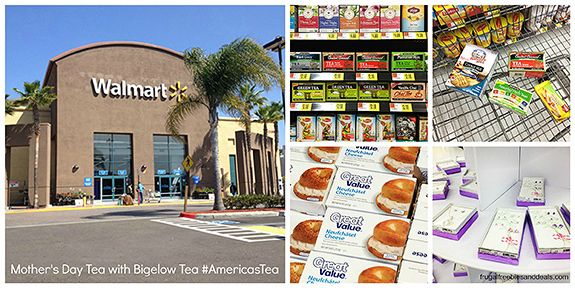 What I enjoy most about Bigelow Tea, #AmericasTea are all the great flavors, and when I buy them to try them out I feel like I can always trust that they will be good. The quality is high and I have never been disappointed. 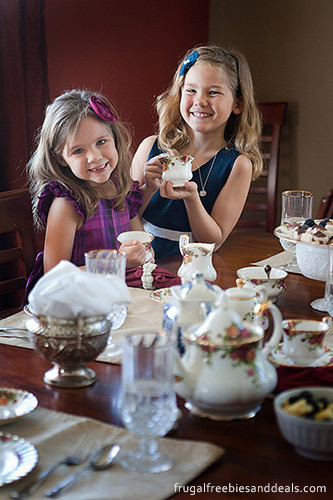 My mom and I have been “training” my daughters to love high tea, too. It’s just such a wonderful thing to do with other women, especially our moms. 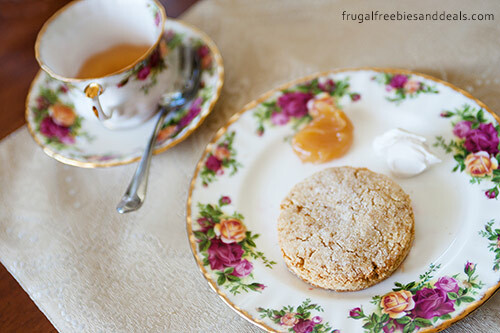 So what better than a high Mother’s Day Tea? I started off my shopping trip (see my entire trip on Google +) with my mom at my local Walmart, checking out all the Mother’s day gifts along the way (but I figured I would leave that up to my hubby!). Then I headed for supplies (yummy food) and the Bigelow tea.. and there it was, my beloved Constant Comment (but the selection wasn’t quite as big as hoped and so no Lemon Lift today). I picked up my things, checked out and got ready to prepare the tea! 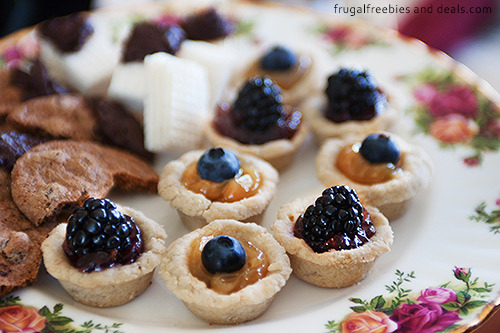 We made cookies, tea sandwiches, tarts, gluten free scones (yum), that I serve with a sweetened cream cheese and lemon curd (so good). We also reviewed our manners!! This is essential when you are learning about high tea!! You will find a printable Manners Sheet for kids (download Adobe Reader to view and print) to help them remember (and make a bit more fun). We set the table and enjoyed our Bigelow Tea!! It did not disappoint.. the whole event was amazing! There was a bit of talking with mouths full and eating a little to fast, but who cares. And the best part? My mom and I get to pass on our love of tea to my girls, what better Mother’s day gift can you get than that!? Oh, and btw.. my oldest is a fan of Bigelow Constant Comment, too! 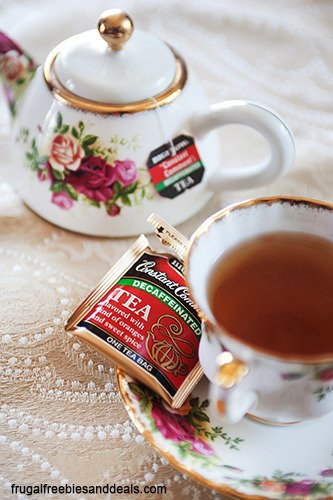 You can keep up with Bigelow Tea on Facebook and Twitter. I am a member of the Collective Bias® Social Fabric® Community. This shop has been compensated as part of a social shopper insights study for Collective Bias and Bigelow. What a great experience to share with your lovely family! 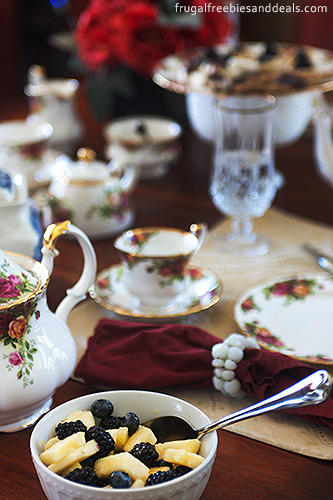 Beautiful tea set and table setting! Your girls are darling too. 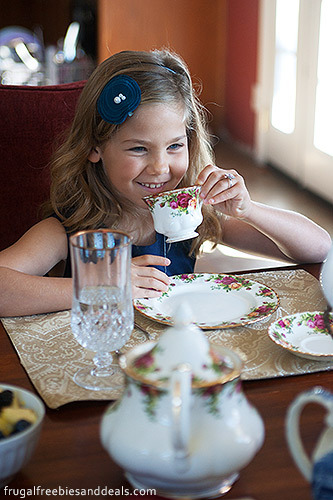 Love how you are sharing your love of tea with them.